The Lakeland Centre for Fetal Alcohol Spectrum Disorder (LCFASD) is offering a unique service this holiday season. 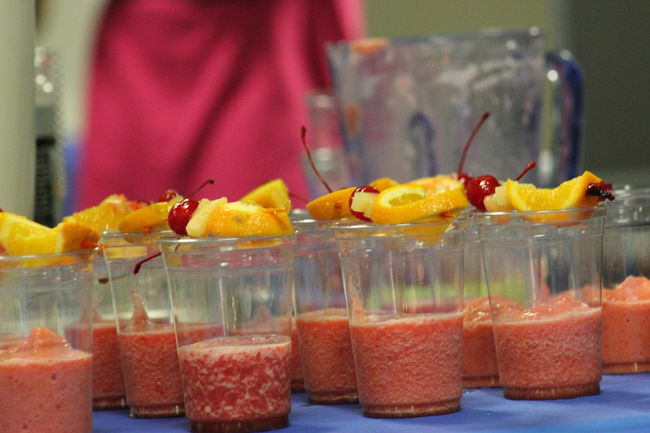 The LCFASD is bringing mocktail service to company parties and other events throughout the Lakeland to promote options other than alcohol. The centre will provide a mocktail bar of great tasting non-alcoholic drinks available to guests. “I think it’s important to show people there is another option and to promote healthy pregnancies,” said Nicole Parisian of the LCFASD. The centre has offered the program in the past, but looks to bring the service to more events this year. “It’s something we do extra on top of everything else we do,” Parisian said. The cost for events with under 50 people is $150, for groups of 50-100 people is $250, for 100-250 is $350, and for 250 plus is $500. The fee covers the cost of materials and supplies for the mocktails. Though the program is just getting off the ground this year, Parisian said she already has a few calls for upcoming Christmas parties. She has also been approached to offer the service at Portage College during addictions week, which runs Nov. 15-21. For more information about the program, or to book it for your party, contact Parisian at nparisian@lcfasd.com, or 780-594-9905. An interesting option for the upcoming holiday party season that Lakeland Centre for FASD is providing.